The club held their inaugural Spelling Bee on Saturday, January 30, at the main branch of the Parsippany Public Library. Students from all of the town’s 10 public elementary schools participated. The top three students move on to a Regional Spelling Bee and the winners from that event move on to the New Jersey State Federation of Women’s Clubs Spelling Bee in March. 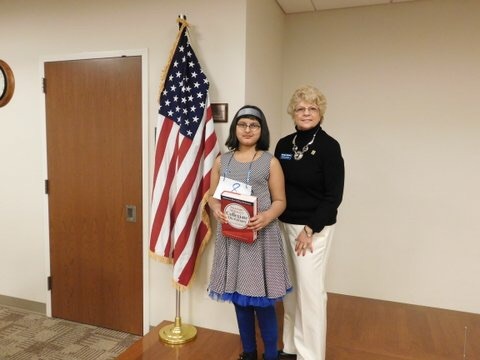 The winner of the Spelling Bee is Sayanika Upadhyay of Northvail School.